We are home! 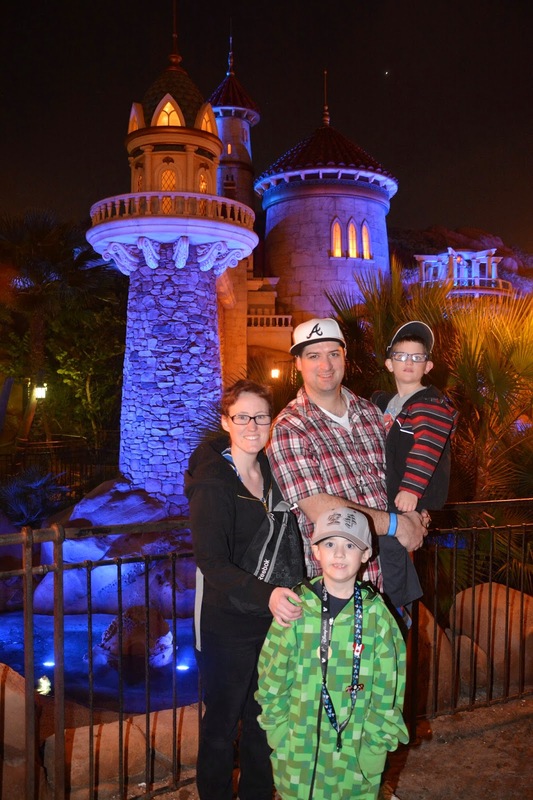 We left Ottawa on January 30th and headed to Orlando. We were met at the airport by Disney Magical Express and dropped off at our hotel. We arrived earlier than check in, so our room was not ready. We headed to the Contempo cafe for lunch and afterwards were able to get into our room. My in-laws rented a 2 bedroom suite at Bay Lake Tower. It is part of the Disney Vacation Club, and there is a sky bridge that attaches it to the Contemporary hotel. Staying at Bay Lake was a quick walk to the Magic Kingdom (about 12-15 minutes with the kids, or 7 minutes if it was just the adults). We were also a quick walk to the contemporary to catch a monorail or bus. When the parade was over, we headed back to our hotel with the kids, and watched the fireworks from our room. Saturday morning we took advantage of the 8am open and headed back to MK. We had pictures taken in front of Cinderella's Castle, took a ride on the jungle cruise, walked through the Swiss Family Robinson Tree house and worked our way through 2.5 treasure maps. We had a fast pass for Pirates of the Caribbean, although it was fairly quiet and we didn't really need the fast pass (TIP: save your fast passes for afternoon or evening when the parks are busier). Hubby and I visited Tony's on our honeymoon and LOVED it! We had amazing service and great food. On our list trip, we found the food wasn't as great as it had been, but it was still ok. This trip, I was thrilled with my meal, and our waitress was great - but the food took a LONG time to make it to the table (it was hot, so I think it was more of a kitchen back log than service). This is something I have heard from others, so keep it in mind if you are dining with kids or someone that needs to eat at a certain time for health reasons. After lunch, we went back to the hotel to rest for a bit (Mr. K was exhausted and needed to have a nap) we had dinner in our room and then headed back to MK for a few hours in the evening. We hopped on the train at Main Street and got off in Frontierland. We watched the Country Bears Jamboree and took a ride on the Liberty Bell River Boat. We had been hoping to ride Peter Pan, but with a 90 minute wait we decided to head back to the hotel. Once back in the room, we again watched the fireworks - our balcony had a perfect view for the nightly show! This is just the beginning of our trip, I will be linking the rest of the posts here once they are finished! If you are thinking about planning a trip to Disney, check out my planning post with some helpful information. Ashley: You are so making me want to go back to Disney. We had our vacation cruise already this year BUT BUT But I really want another trip and Disney rocks. Their service is so spectacular always. I am interested to hear about the other properties too because I like to stay different places sometimes when we are travelling. 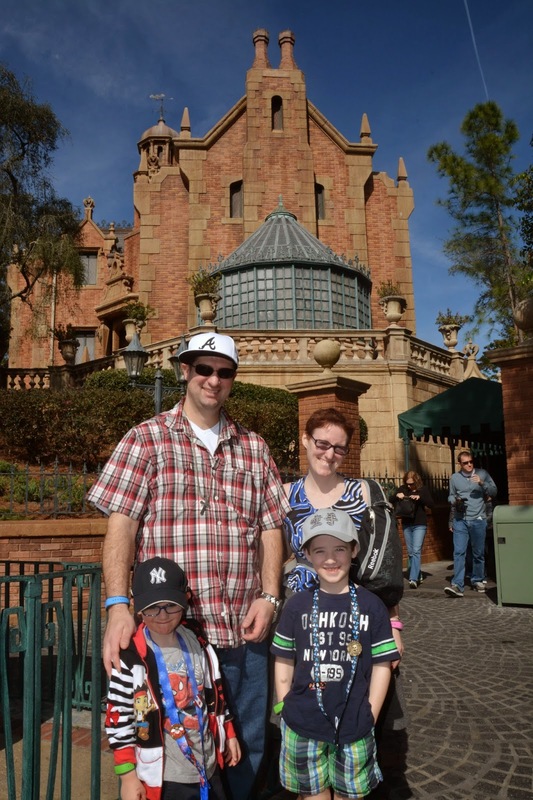 Orlando is a great place for a family vacation. However, I did not get in which hotel you were. last year I was with my family at Omni Hotel. We booked it with reservationcounter.com and we got a pretty decent price for the rooms. It seems to me that it was a fun vacation for the whole family. I must admit I enjoyed it too when I was there many years ago. Though there was a lot I couldn't participate in since I also had a baby in a stroller with me. Your trip sounds like so much fun! Staying at a hotel close to Disney World certainly offers some great advantages!